Gone are the days when people write to each other using pen and paper. With technology making our lives much easier than before, we’ve already forgotten the conventional ways of human communication. Still, this is actually quite a good thing since communication is just one click away. You may also see formal email examples and samples. 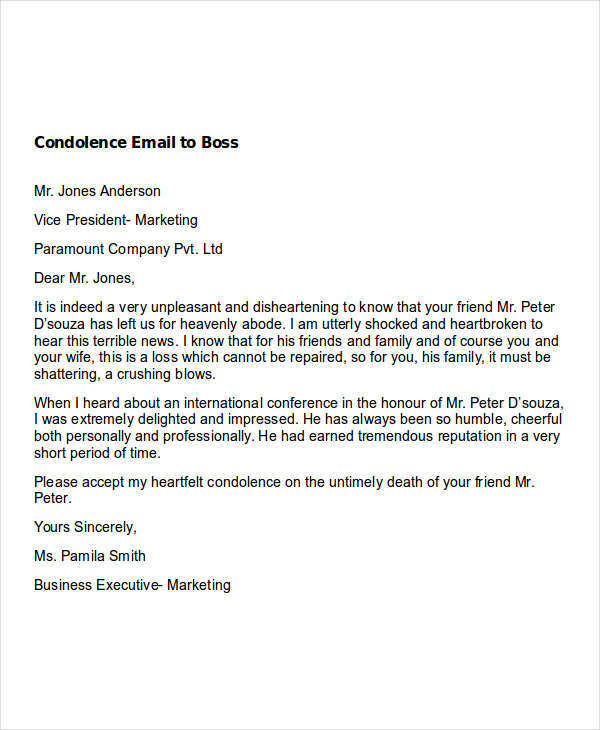 However, despite having forgotten of the old ways of sending letters, mail format and etiquette are still the same and is still incorporated with the email cover letters we send online. It’s just that the means have changed, but everything is still the same as before. 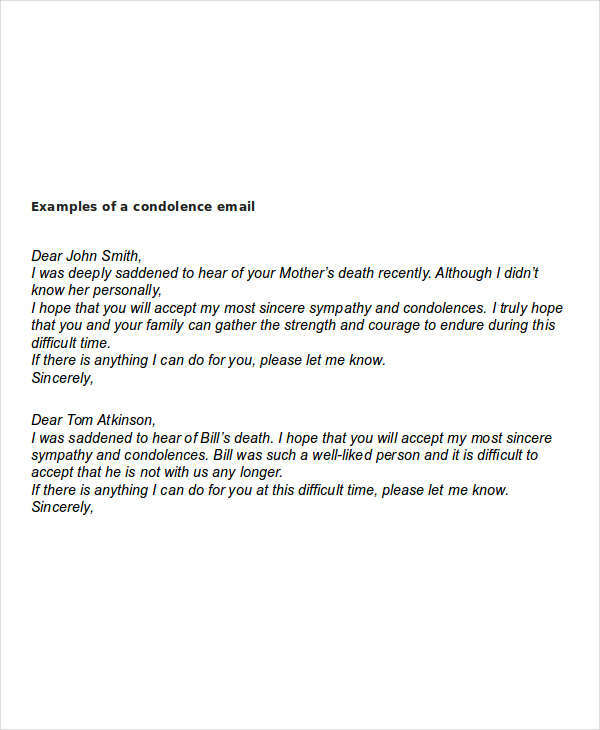 Basically, expressing condolences in formal email is just like speaking; the only difference is that you’re writing it instead. 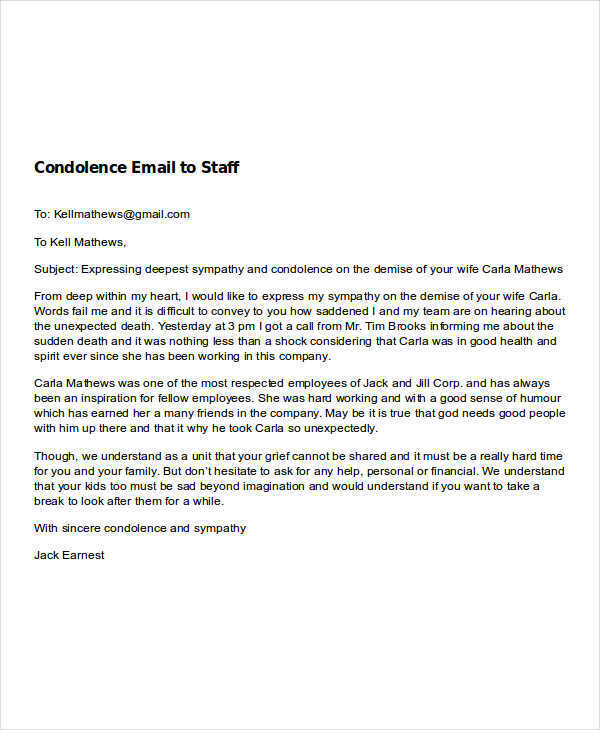 So if you’re writing a condolence email, try to sound as sincere as humanly possible. 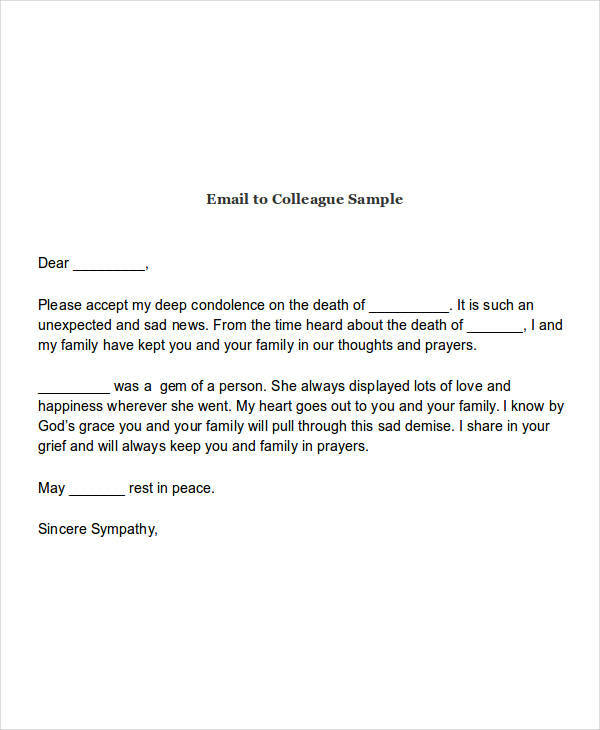 Write how you feel about the loss of someone you know. Make your receiver feel like you’re sharing their pain, or at least, you want to share the pain they feel at the moment. If you know the person who passed away, share a few insights, opinions, or memories about him/her. You may also like internship email examples & samples. If not, say that you’ll always be praying for them, especially for the one who passed away. But as much as you want it to sound sincere, make it sound real. 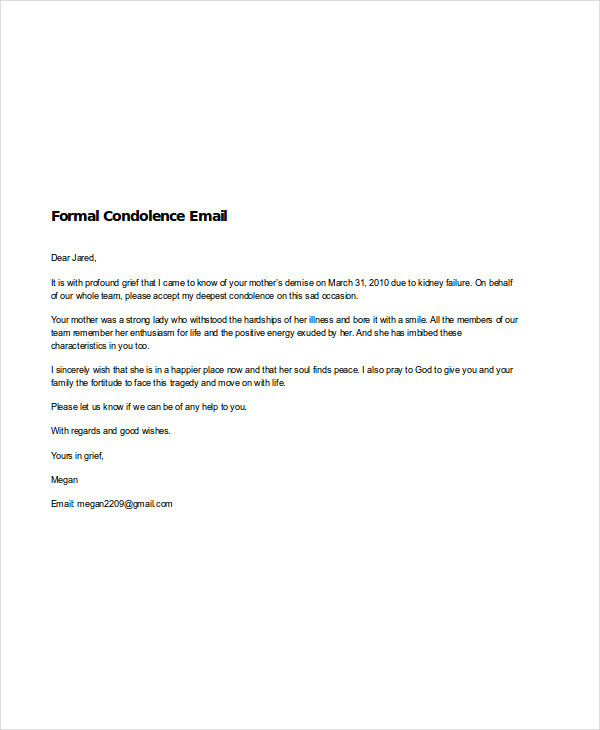 Write your thoughts, and of course, don’t ever copy from someone else’s condolence email in pdf. Write the subject line, before anything else. You’re sending an email to someone who might not have the time and resources to read random emails, so don’t leave your subject line blank. Do not forget to write the salutation. This is an effective way to start yourself email. Carefully think about what you want to say, and write them down. Choose your words carefully. Be careful not to offend the receiver. Be sincere. This one is really important. Like I said earlier, you need to let them know how you feel about what happened. 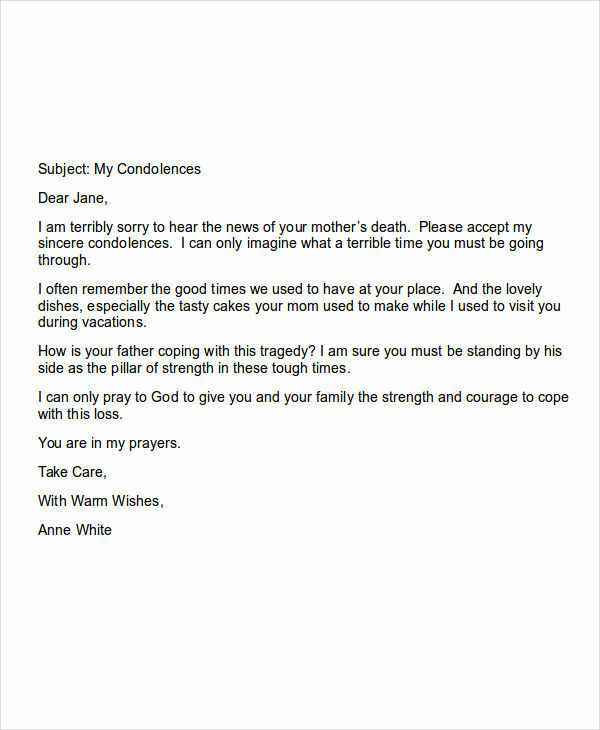 At the same time, you’d like them accept your sympathy and condolences, so it is important that you sound real and sincere. 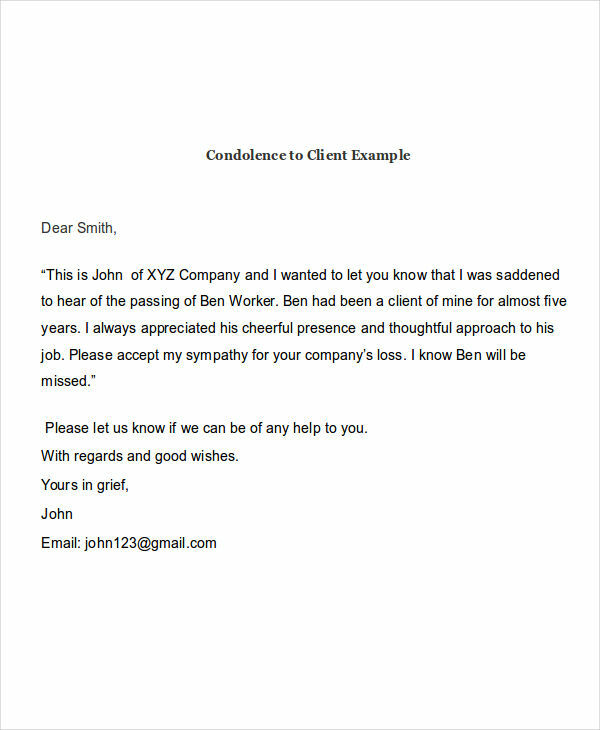 You may also see business email examples & samples. Make your email resume and cover letter short. Be direct to the point. Say what you want to say, but keep it short. Do not include inappropriate topics and remarks. Give a proper and thoughtful closing remark to end your letter. Proofread your email. Before sending, make sure you get rid of any error, or unnecessary remarks. You may also check out application email examples & samples.